Now, what is really growing exquisitely are our main planting of kohl crops including broccoli, cauliflower, and romanesco (an Italian heirloom cauliflower), and cabbages. All these guys you have had in your shares so far have been from our first early planting, we were happy with the size and quality of those, but this planting is straight up knocking our socks off. 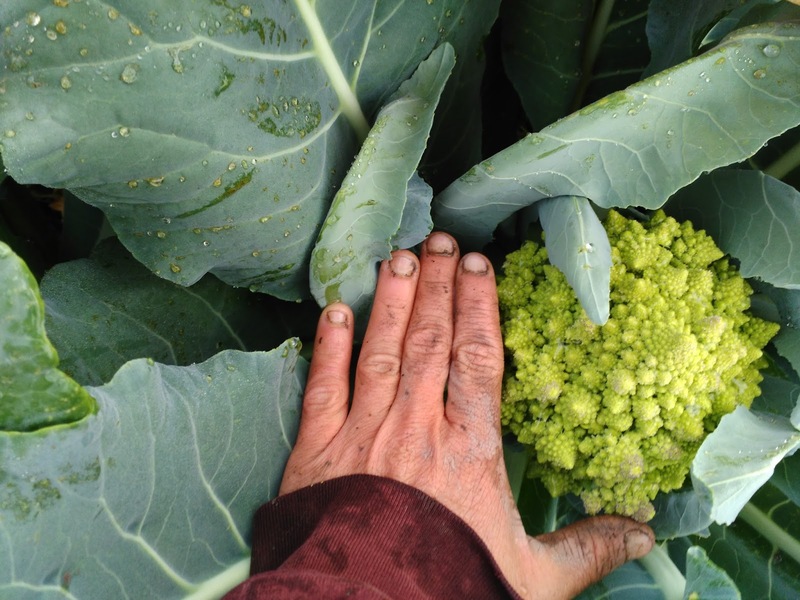 We took just a few of each to market last Saturday that didn't look like they would hold in the field until this week and the broccoli was, on average 1 ¾ pound per head and robustly healthy. Dinner plate sized broccoli is so fun to harvest and pack into the CSA boxes. 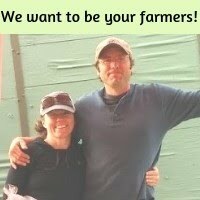 We continue to be amazed by how well things are going on the farm this year. We are staying on top of the weeds, we are actually trellising and pruning the tomatoes and cucumbers instead of them being overgrown and all over the place. We are making time to foliar spray our tomatoes once every two weeks with an organic fish fertilizer. We are staying on top of our record keeping and just overall starting to feel like we know what we are doing a little bit this year. IT'S A GOOD FEELING! Oh and we wanted to thank all of you for being so great about picking up your veggies each week. Seriously, you guys are awesome. And we totally understand if once a season you forget to pickup your veggies. But, wow, the last three weeks no one has forgot! That is just...amazing...you guys are awesome Thank you! Recipe Ideas for the week! Broccoli- I'm begging of you to eat every bit of this. I'm sure you have a favorite recipe for broccoli. I'm planning on making a yummy onion, broccoli, snow peas, and carrot stir fry this week. Save the broccoli stalks by putting them in a freezer bag, storing them in the freezer. Chop them up for a creamy broccoli soup on a cool day (which I wouldn't normally say in July but...it's been a strange year for weather...we had stew one night last week?!). Our kids LOVE broccoli soup. I don't really use a recipe; just saute onions in butter, add broccoli stems and cook until infused with butter/onion goodness and cover with stock. Cook until Broccoli is tender and the use an immersion blender and serve with heavy cream. I've been loving these first zucchinis lightly sauteed with butter and onions and finely chopped rainbow chard, cooking it a few minutes and then adding some scrambled eggs for a lovely breakfast dish. The Cilantro and Lettuce Mix would pair beautifully for a taco salad topped with the first bell peppers of the year. Don't forget you can use the carrot tops for pesto or for adding a handful to the blender/food processor when making salad dressings/dips. 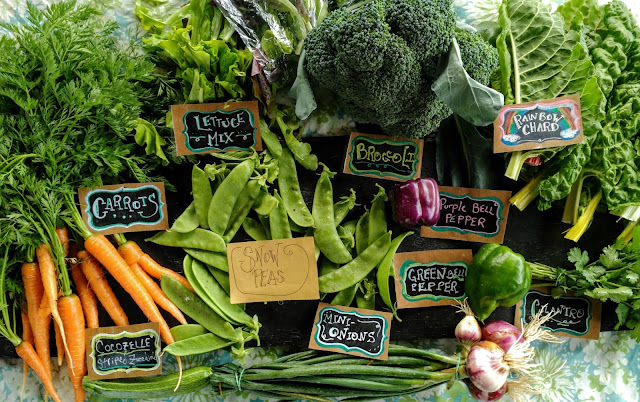 Next week: Looks Like Cauliflower/Romanesco, Kale, Basil, and Golden Beets will be some of the treasures in your CSA Box next week.